WordPress is a free and open source content management system written in PHP programming language. It is one the largest self-hosted blogging tool in the world powering more than 60 million websites across the globe. Making its debut as blogging software, WordPress took rapid strides in form and functionality and today it is one of the most popular Content management system (CMS) in the market. Another noteworthy thing about this highly popular CMS is that it is the darling of SEO experts as well. Ask any search engine optimization (SEO) experts the websites they love doing SEO for and the answer invariably be the one written in WordPress. Its popularity among bloggers, website designers and SEO experts are not without some solid reasons. It is highly versatile in nature opening doors to a wide variety of adaptations. End users are blown away by its simplicity and effectiveness as they do not need to possess expert technical knowledge to leverage its potential. Almost anybody can use it to design, develop and make changes to a website as it is a simple blogging system that does not demand any rigorous knowledge of coding, designing, etc. In the following paragraphs we deal exclusively with SEO part of WordPress and try to answer frequently asked questions on SEO with respect to WordPress. WordPress inherently is SEO optimized—is it true? This in fact is a misconception as there is no any CMS (content management system) that is SEO optimized. The good thing about WordPress is that it is one of the most SEO friendly CMS, but that still does not absolve you of carrying out SEO optimization activities on your own. Having a website built on WordPress is no guarantor of securing top ranks in results returned by Google. The myth about SEO optimized CMS continues to do the round only because CMS vendors have made it one of their unique selling points. They never let an opportunity go of praising its SEO friendly features and how a particular CMS can prove to be a boon for your website owing to its SEO friendly aspects. The irony is that they are pretty successful in it as business and website owners lack the knowledge or technical expertise to properly comprehend their jargon induced jingoism. They often find it hard to decipher the subtle difference between the similar-sounding terms “search engine optimized” and “search engine friendly.” The fact of the matter though, is that is not how it works. WordPress sites are easy to build and operate but you still have to weave additional SEO elements into it to derive all SEO benefits. Unfortunately, this is another of the myth propagated ad nauseam by vested interests. There is no WordPress plugin (at least till now) that can effectively cover all aspects of SEO. Assembling a great team of engineers and workers will not help you own a majestic mansion, and so is the case with SEO plugins. Correct configuration of SEO plugin is definitely a step in the right direction but as the saying goes it is only a step. You have to have a quality SEO expert by your side who is well-versed with organic search, knows a thing or two about importance of SEO in driving your marketing campaign in the right direction, and prevents you from committing expensive follies. What I need to do end up with a good WordPress hosting solution? If you have the manpower, resources and expertise to deal with hosting, backups, upgrades, etc. it will be better for you to opt for Virtual private server (VPS) hosting and manage everything on your own. 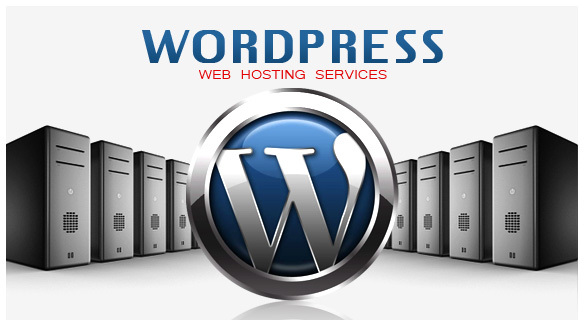 If you lack the resources, expertise or for that matter desire to opt for it, you may consider managed WordPress hosting. All your technical, performance, hosting, security issues will be taken care of by the service provider for a fee. This is another frequently asked question by business and website owners. WordPress offers a huge array of themes. The important thing to take note of that is some are good for your SEO while others are not. Take the following factors into account. Look before you leap—consider what other users are saying about a particular theme and its effect on their SEO. Valuable reviews and feedbacks from other users can help you make the right choice.